On Sunday afternoon I was at my home in Livingston working on a TV stand when I got a text from somebody that shook me up. Randy Turner, a long time friend of mine had been killed by a (possibly accidental) gunshot. 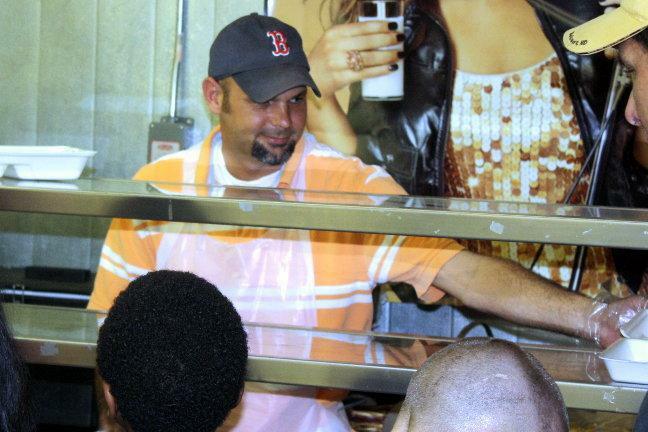 I've known Randy since 2008, and when I heard the news a huge sense of sadness came over me. I'm going to be very blunt in what I'm about to say. A lot of the law enforcement that I work with in each agency of Polk County will, from time to time at the scene of a situation will ignore me, back me off, or brush me off when I just ask something as simple as "how ya doing". Not Randy. Randy would ALWAYS take his time for me. I'm not saying that he would give me information that he wasn't allowed to, but he would at least come talk to me and we could exchange pleasantries; ALWAYS. That's the kind of guy Randy was. He was low key, gentle, and honestly, his friendliness and willingness to be a friend, even in tense situations, made me have a lot of respect and admiration for him. Randy had all the stress in life that is so common with most of us. He had small children (yes, raising kids is stressful), he had been through a divorce, he worked for the Sheriff's Office for several years, then left for another job that paid better and allowed him to be a better provider. Randy returned to the Sheriff's Office again to work in law enforcement. But in spite of whatever he was going through, he was always the same, low key, friendly, and fun to talk to. He was a very polite, but wouldn't hesitate to mess with me (or anyone else) just to rattle their chain once in awhile. 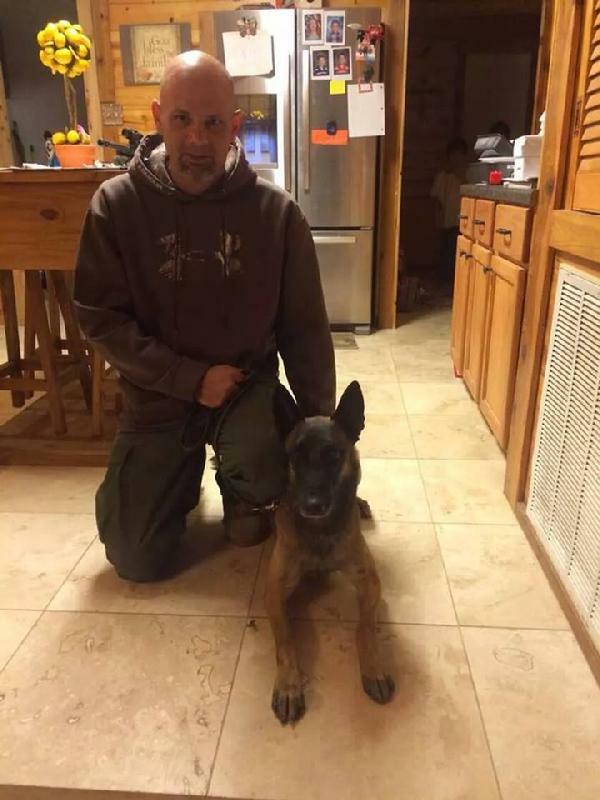 Randy spent the majority of his years with the Polk County Sheriff's Office working in the narcotics division and specialized in police dog handling. He was also a trained sniper for the Special Response Team. Randy did his job well. I had the privilege of covering a lot of news where Randy was involved in getting drugs off the street and arresting drug dealers and users. Back when PolkCountyToday.com first started up, there was a point where I was frustrated because we were pumping out the news, but wasn't able to get the financial support through advertising. I was talking to Randy about it and he said, "Heck, give it year, then look at it". I thought that was a good idea. Looking back, he was right. Randy and I texted just a few nights ago. He was asking me about advertising for a business he was starting. We texted a few times and I informed him I was going to sleep and we could talk about it the next day. The next thing I know, he's gone. I wish there was something deep and profound that I could say that would help me and his friends and family understand, but I don't know what to say. I'm just very sad. Maybe we can look at his example of friendliness and willingness to take his time for people and learn from it about how to be a better person. I think that everyone who knew Randy Turner knows exactly what I'm talking about. For many of us, this will take some time to get over, but life goes on. Family, friends, and coworkers are all depending on us in one way or another. Goodbye Randy Turner, I'm gonna try to be a better person because the example you lived everyday. 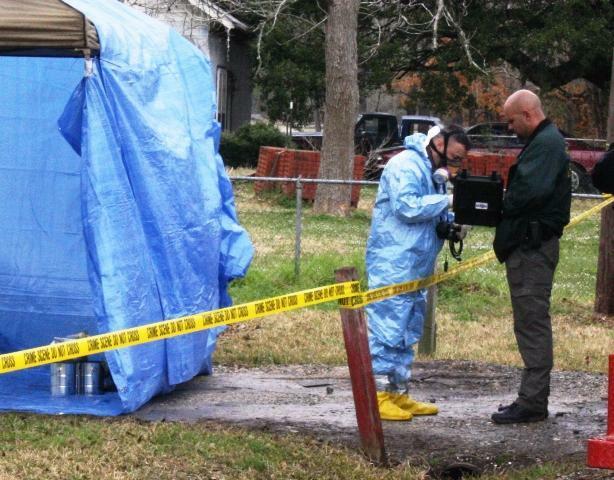 Randy Turner speaks with Lieutenant Andy Lowrie at the scene of a meth lab bust on Februay 26, 2010. 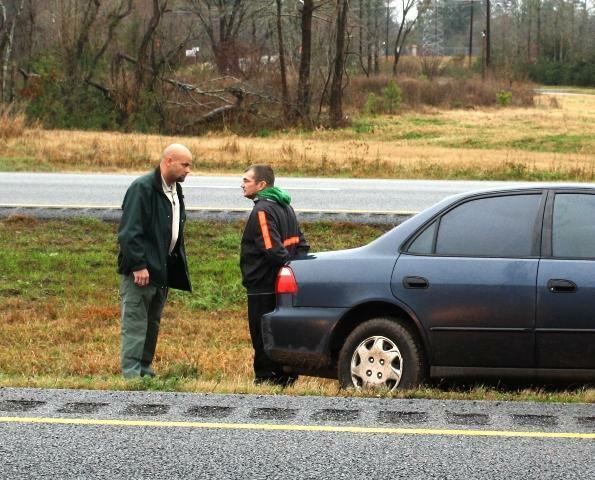 Assisting Deputy Mike Nettles on an arrest, August 26, 2010.